When you have installed Virto SharePoint Cross Site Lookup and activated it, you need to adjust the feature to work in a proper way. Since Virto SharePoint Cross Site lookup supposed for working with list of current site collection, you need to create a list you are going to work with and adjust the feature. Below is a sample of Cross Site Lookup usage. For example, you need to aggregate information from a list of clients which are grouped by countries and cities (country may include several cities). 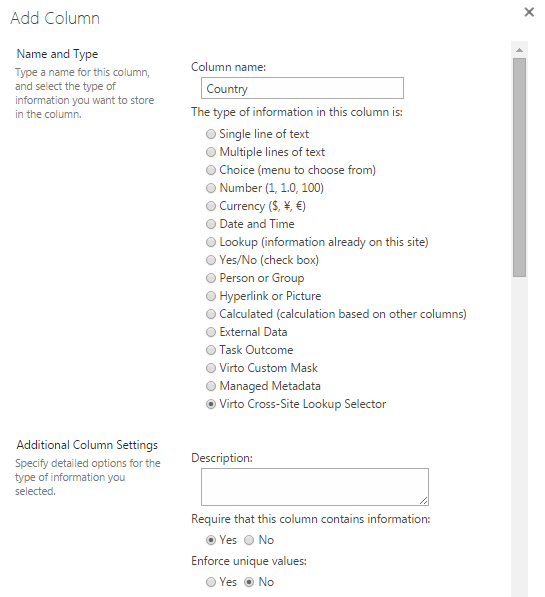 Go to a SharePoint site and create a list which will contain cross-site lookup. Now you need to add several columns with “Cross-site Lookup Selector” type. 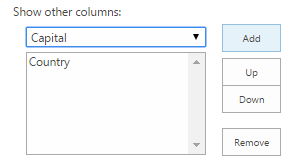 Go to list settings and create a new column. 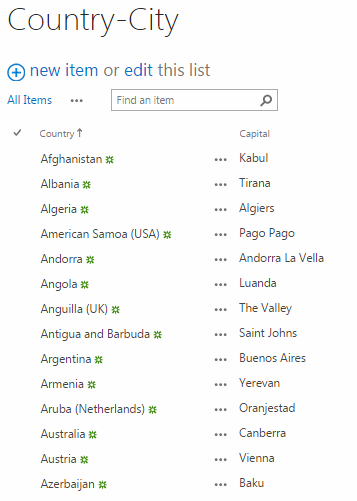 Now enter title (country name in our case) and select “Virto Cross-Site Lookup selector” as a column type. Description – description of the column. Source site URL - site from the current site collection which data will be taken from. 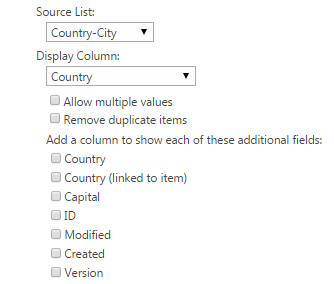 Source List – source SharePoint list (“Country-City” list) which data will be taken from. 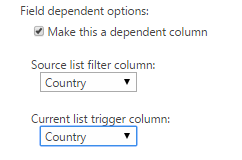 Display column – column from the source list that will be displayed in the lookup (for example, Country). Check the box “Allow multiple values” in case you need to enable multiple values in your lookup. Check the box “Remove duplicate items” if you need to exclude duplicated items from the lookup. Virto Cross-Site Lookup allows users to add more columns to the lookup that will be displayed only on list item view form. Just select required from the list and click “Add” Added column will appear in the “Show other columns” block. Use “Up” and “Down” buttons to define the order of the columns. Current list trigger column (which column in the Source List determines the values to filter on). Virto Lookup allows users to convert existing SharePoint lookups to Virto Lookups and use extended Virto features without creating new lookup. Just click the link in “Convert” block and select an existing lookup. Click “OK” to finish column adding. Virto Cross-Site Lookup Selector (Single value, Multi Value). The same way you can add fields with “Cross-site Lookup Selector” type. Now the fields are adjusted and you can use lookup option (see the next section).